May buy any quantity. May use 1 per event per person. Must use entire value in 1 visit. Only valid for the event selected at checkout and shown at the top of voucher. Each voucher expires at midnight on the day of your selected event. Subject to weather. In the event of a cancellation, tickets can exchanged for any other RMR event. Valid through: Sep 24, 2016. See the terms that apply to all deals. 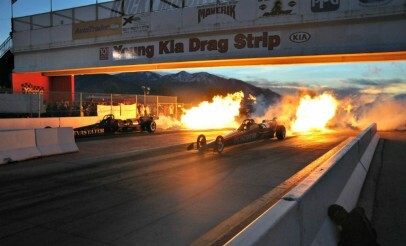 Join Rocky Mountain Raceway for the crowd-favorite Night of Fire Lucas Oil Drag Racing Series! This is the final, major drag racing event of the 2016 season. Spectator gates open at noon. Rocky Mountain Raceway is a short-track, motor-sports venue in West Valley City. 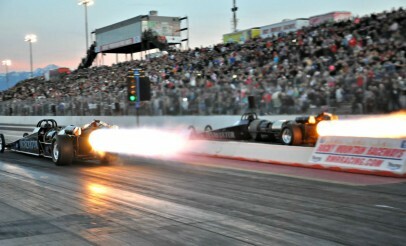 They host a variety of races on oval, motocross tracks and a drag strip.